It’s been a 1-year story with you, DxChain can’t make it without the warm support from our community. Check out what’s new for DxChain! Look back the year of 2018, DxChain gradually launched MVP, Testnet Beta, Testnet 1.0, SDK and first decentralized storage product — DxBox. There’s no doubt that DxChain has the determination and capability to build the world’s first decentralized big data and machine learning network powered by a computing-centric blockchain. 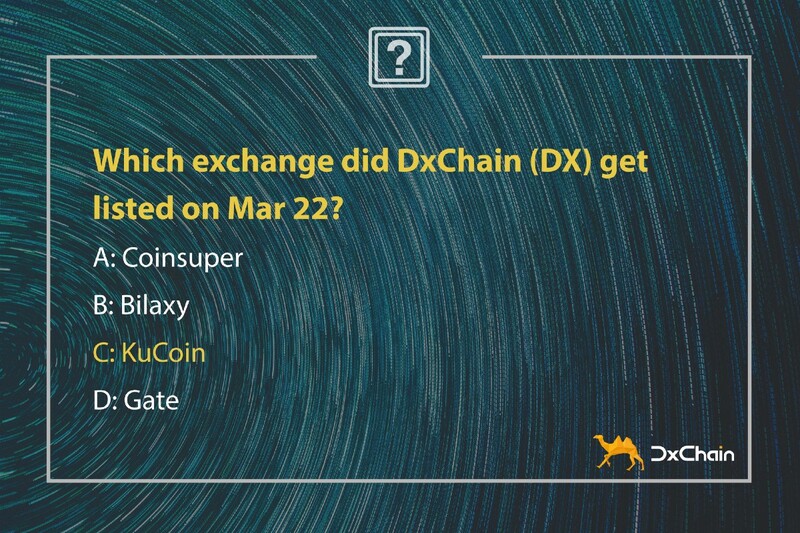 Thanks for believing in DxChain! We are looking forward to the next 3, 5, 10 years and seeing you there. On the occasion of our 1st anniversary, DxChain successfully released the Testnet 2.0 with a series of Automation Deployment Toolkit developed on April 2nd 2019, greatly improved the fundamental performance based on the previous Testnet, laying a solid foundation for the next phase of blockchain storage application productization. The first distribution of team tokens was unlocked in early April 2019 and will be distributed according to the entry time of each team member. An extra round of bounty token distribution was completed to celebrate the DxChain 1st year anniversary. The circulating supply of the DX tokens has increased to a total of 36,325,346,450 DX (36.33% of the total supply). The DxBox Testing Event is in full swing and we received a lot of valuable user reviews from the community. DxChain engineer Manxiang Zhang took this opportunity to explain the architectural design and economic model of the blockchain storage Dapp — DxBox, also discuss the issues existed in modern cloud storage and how the blockchain based storage application can be a potential solution. Thank you for your participation!! Stay tuned to more interesting events! DxChain is proud to announce that the DX trading competition on KuCoin was completed! All rewards have been distributed to the winners’ accounts. Brand NEW Wednesday Q&A Challenge is COMING!! 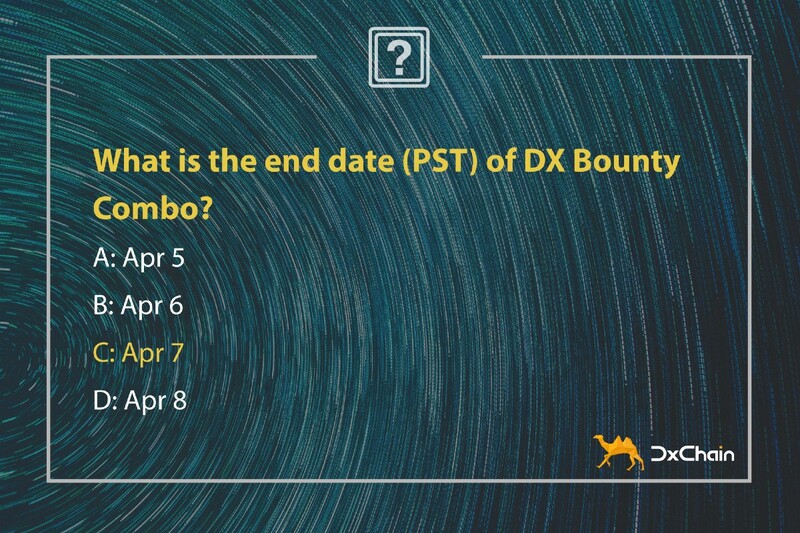 Instead of the first 10 people got the answer in each group can win rewards, no matter what time zone you are in, everyone has a chance to win reward! Go and Win the raffle!! Every question from DxChain community values to us and moving us forward. Looking forward to getting more review from our community!